Until July 2009, entrance price is 25% higher, and there is no free entry on Thursdays because of a special exhibit. The Pergamon Museum is one of the largest and most impressive museums in Berlin, and if you only get to see one museum, this should be it. Itwas named after an ancient Greek city and was eventually opened in 1930 after a long period of construction. Building had started in 1907 but was severely interrupted due to World War I and the subsequent years of economic hardship in Germany. Like so many other notable Berlin museums, it is located on Museum Island and is listed as a UNESCO world heritage site. The museum was partially destroyed in World War II but most of its collection had been moved to more secure areas and some of the bigger pieces were walled in for protection, therefore the majority of the artifacts did not get damaged. The Pergamon is divided into several areas including Near East Museum, the Islamic Art Museum, Folk Museum and the Antiquity Collection. There is also an Ancient Coin Museum. Its main focus is on ancient and early modern history. One of many striking artifacts in the Antiquity Collection is the massive structure of the Altar of Zeus. It originally came from the Acropolis of Pergamon (Turkey) where some of the base still remains. Nearly the entire 2000 year structure was uprooted and taken by the Germans to the museum. It takes up the space of a whole room and its transportation is an engineering feat. The marble staircase is spectacular. 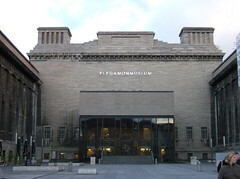 Some suggest it is one of the largest single structures to be housed in a museum. Other large pieces include a panel from the Palace Throne Room from Babylon (Iraq), the Babylonian Procession Street, the Lions Parade panel, the Market Gate of Miletus, the Islamic Mshatta facade and the massive, mosaic Ishtar Gate with its ornately placed unicorns. There are so many noteworthy masterpieces on display that is would take several days to thoroughly investigate all exhibits. For those with a keen interest in antiquity, a visit to this museum is a must. Leuk, maar ook echt alleen leuk!! Have you already visited the Pergamon Museum? If so, let everyone know what you thought about it by writing a review! No registration necessary. Just click here to start writing! 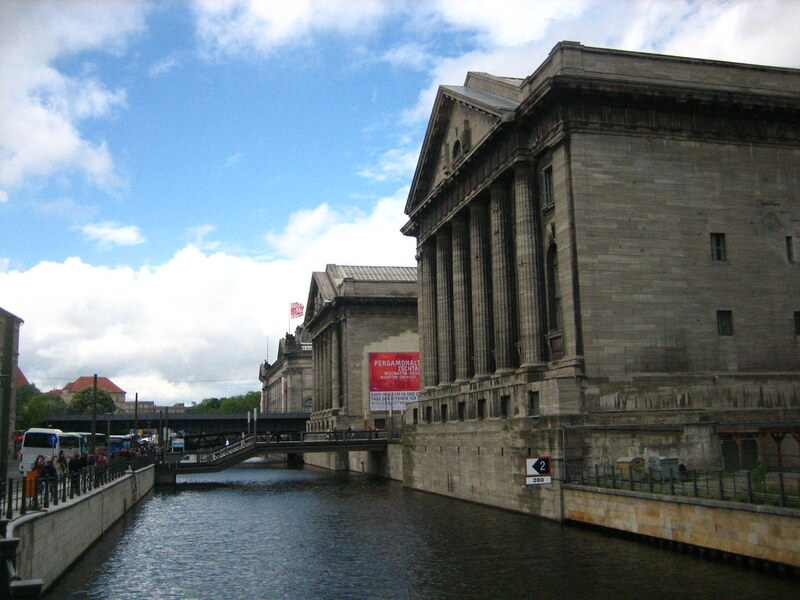 View all Pergamon Museum Pictures.